In an official statement released late on Sunday by Attorney General of the federation, Abubakar Malami, the President Muhammadu Buhari-led Federal Government has set up a constitutional and electoral reforms committee. “The Committee is expected to Review Electoral environment, laws and experiences from recent elections conducted in Nigeria and make Recommendations to strengthen and achieve the conduct of free and fair elections in Nigeria,” the statement read. 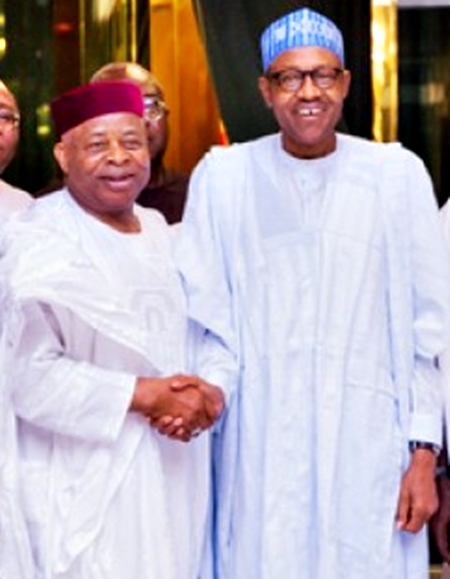 According to Premium Times, the committee will be chaired by a former Senate President, Ken Nnamani. Mamman Lawal, a lecturer at Bayero University, Kano, will serve as the secretary. Other members include Clement Nwankwo, Muiz Banire, and A.C Ude. “The Attorney General of the Federation and Minister of Justice, Abubakar Malami, SAN, will on Tuesday October 4, 2016 inaugurate a Committee on Constitutional and Electoral Reform at the HAGF’s Conference Room, Abuja by 11am,” said the statement signed by Mr. Malami’s special adviser, Salihu Isah. “Members of the Committee are expected to take note and turn up for the inauguration,” the statement said.